This hand and body lotion from Dindi Naturals is highly nourishing, with its combination of aloe vera, shea butter, hempseed oil, and avocado oil. It has a lovely floral scent, brought in through the use of geranium, lavender, and lemongrass essential oils. Vegan, cruelty free, palm oil free, and free from synthetic fragrances, preservatives and petrochemicals. 250ml. Dindi Naturals is based in the Murrindindi Shire (hence the name Dindi), a mountainous north-east region of Victoria. They create natural soaps and body products that use environmentally-friendly and sustainable ingredients, with no toxic or synthetic chemicals. Support a local Australian business. Free from toxic and synthetic chemicals. 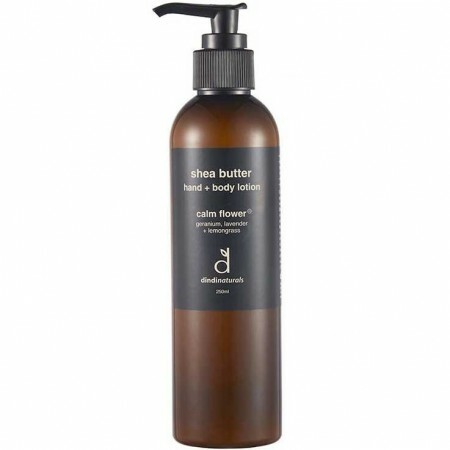 Suitable for all skin types, for use as a hand or body lotion. Keeps skin soft and hydrated. 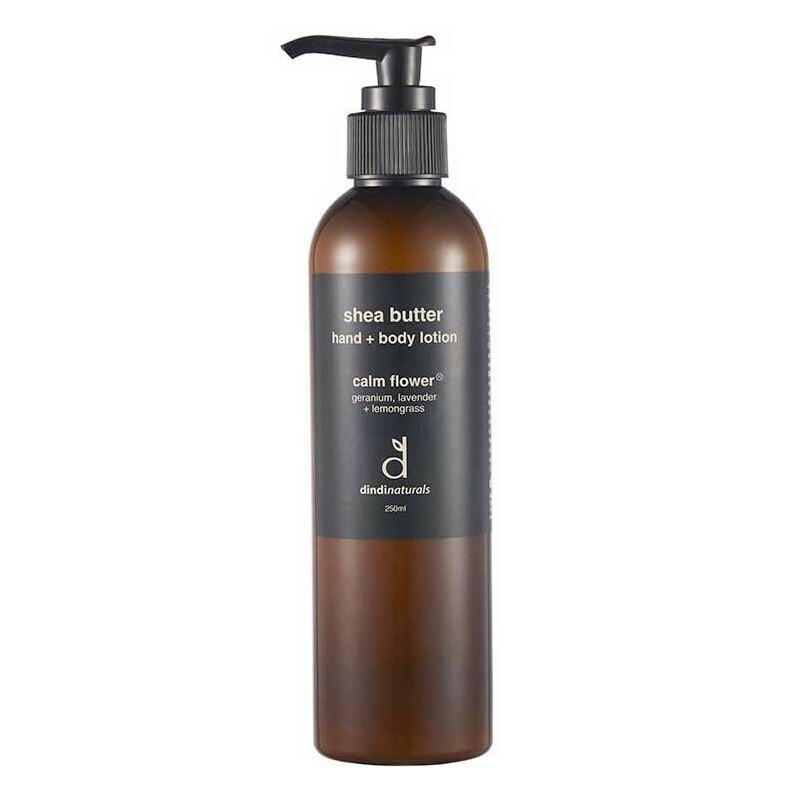 Highly nourishing through the use of aloe vera, shea butter, hempseed oil, and avocado oil. Geranium, lavender, and lemongrass essential oils provide a lovely floral scent. Calendula extract is gentle and soothing. Aloe vera juice*, shea butter, sugar cane alcohol*, calendula extract*, olive oil, glyceryl stearate citrate, hempseed oil, avocado oil, glycerin, radish root ferment filtrate, sunflower lecithin, xanthan gum, acacia gum, rice bran wax, essential oils of geranium, lavender and lemongrass. *Organic ingredient. Browse our Dindi Naturals range.